Major strides have been made in face processing in the last ten years due to the fast growing need for security in various locations around the globe. A human eye can discern the details of a specific face with relative ease. It is this level of detail that researchers are striving to create with ever evolving computer technologies that will become our perfect mechanical eyes. The difficulty that confronts researchers stems from turning a 3D object into a 2D image. That subject is covered in depth from several different perspectives in this volume. This book begins with a comprehensive introductory chapter for those who are new to the field. A compendium of articles follows that is divided into three sections. 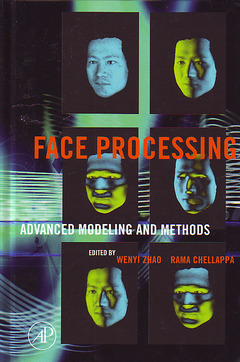 The first covers basic aspects of face processing from human to computer. The second deals with face modeling from computational and physiological points of view. The third tackles the advanced methods, which include illumination, pose, expression, and more. Editors Zhao and Chellappa have compiled a concise and necessary text for industrial research scientists, students, and professionals working in the area of image and signal processing.